Germany is rebuilding the Berlin Palace, the Berliner Schloss, at an expected cost of €590 million or $665 million, a half or a third of the estimated price of rebuilding Penn Station in New York, which itself is considered understated and beyond contemplation, but in fact is not. Indeed, the two buildings are comparable in size, complexity and in the ambition of their reconstitution. If Germany can do it, so can America, with its greater wealth and economy. 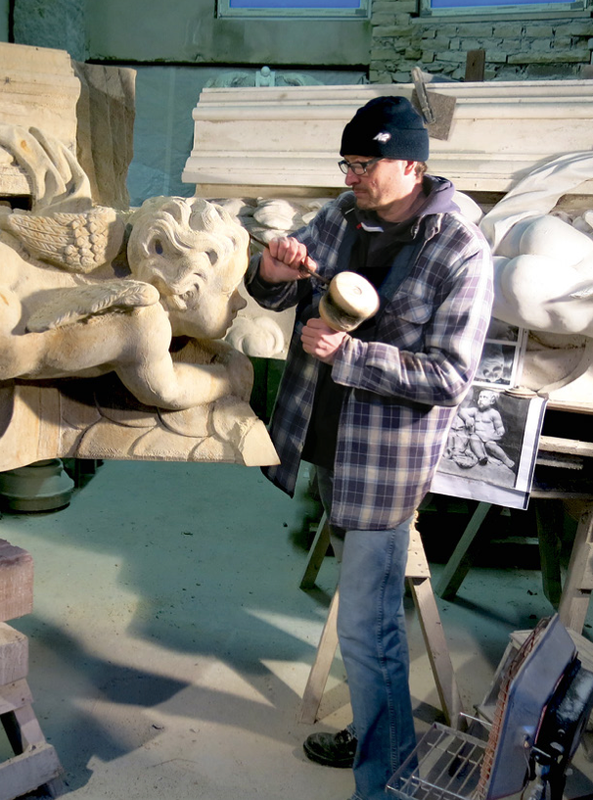 Audun Engh, of International Network for Traditional Building, Architecture & Urbanism (INTBAU), has sent a PDF of the latest issue of Berliner Extrablatt, the newsletter published by the association behind rebuilding Berliner Schloss, once the winter palace of the Prussian monarchy and united imperial Germany. After reunification in 1990, Germans argued for years whether to tear down the hideously ugly Palace of the Republic, completed by 1976 under the boot of Moscow, and what to put in its place. Its demo was completed in 2003. 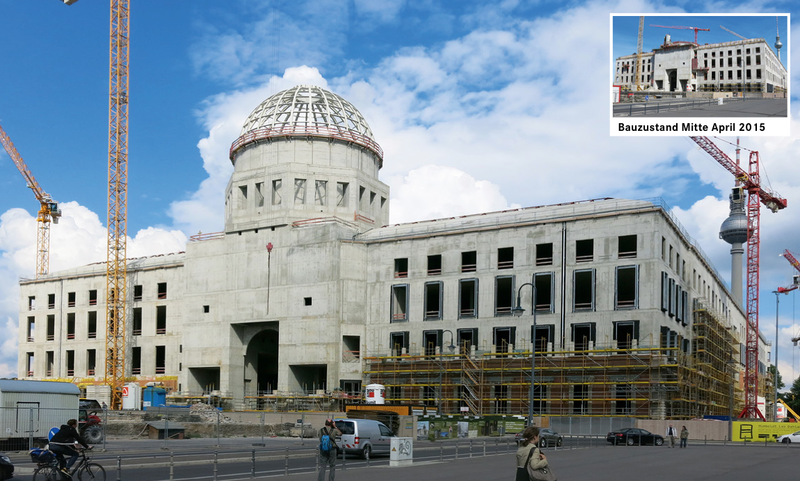 In 2007 the Bundestag decided to rebuild three sides of the Berliner Schloss, with a fourth side, interior rooms and courtyards divided between traditional and modern styles (a mistake, but not one that cannot be aborted om construction or corrected later). Construction is very well along. Completion is expected in 2019. The Extrablatt is in German but is profusely illustrated, showing that traditional materials are being used, fabricated by hand but also with advanced technology and techniques. 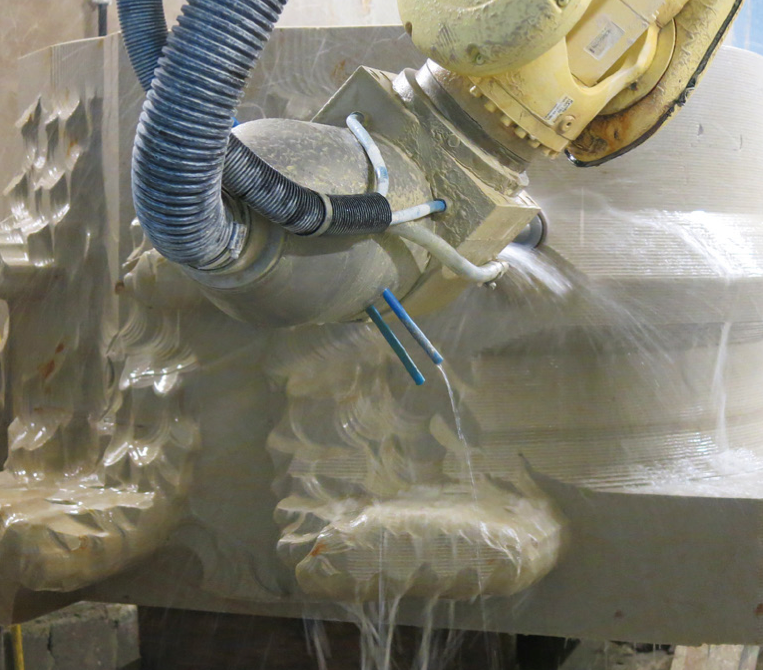 After a recent visit, Patrick Webb, of the American College of the Building Arts, in Charleston, hopes to engage the project’s lead carver to establish internships and apprenticeships for American students of traditional craftsmenship. Scroll through the PDF to see old photographs of the Stadtschloss, its ornamentation and statuary; detailed renderings of how those elements will look on completion, both in detail and in the context of existing Museum Island architecture in the former East Berlin; photographs the progress of construction thus far, and of the fabrication of detail, whether by chisel or by high-tech cutting instruments; and even drawings that show, if I am not mistaken, the cost of various facets of the project column by column, statue by statue. This is a lot of material, but especially if you can’t read German you can get through it in a reasonable amount of time. It is worth the trip. 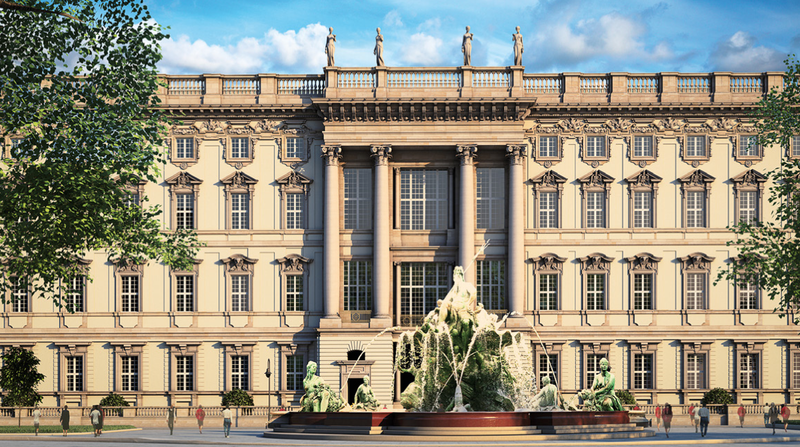 The Association for the Berliner Schloss, a private group supporting the project – whose exterior is being paid for with private money and whose interior, the Humboldt Forum, is being paid for by the German government – has a website with more material, including stills and videos of the design. Taken as a whole, the material strongly suggests that New York City can and should rid the nation of the desultory tragedy of the existing Penn Station and its ridiculous Madison Square Garden topper and replace them with something the entire nation – indeed, the world – can be proud of. The Germans have proved that it is not a matter of skill, technology or money but of will. Today, as Vincent Scully put it, we scuttle into New York City like rats. There is no reason we cannot someday enter, again, like gods. Architect Richard Cameron of Atelier & Co., in Brooklyn, is leading an effort toward that end. It was highlighted in CityLab last May. This entry was posted in Architecture, Architecture Education, Architecture History, Art and design, Development, Urbanism and planning, Video and tagged American College of the Building Arts, Audun Engh, Berlin, Berliner Schloss, INTBAU, Patrick Webb, Penn Station, Preservation, Restoration, Vincent Scully. Bookmark the permalink. I cannot help feeling uneasy about the construction with insitu concrete faced up with a classical coating – particularly if this is going to become the norm. But I don’t want to be too purist when perhaps we should just be thankful. I cannot help feeling that the charade will show and degrade the building. For instance, are we going to see the horror of expansion joints? Maybe I am worried about nothing. Can some one reassure me? It’s far from ideal, but not entirely without classical precedent, as I understand that the Colosseum was built in a similar way, travertine marble over a primitive form of concrete. One could argue the current constructors are simply carrying on a long and noble tradition. The ‘concrete’ the Romans used and the modern ‘reinforced concrete’ are not all the same thing, not in terms of building technology, ‘building biology’ (the Germans invented this “Baubiologie”), durability, etc. It would have been great to rebuild the Stadtschloss with the Roman ‘concrete’ technology rather than the German one. We saw the palace under re-construction in July. Photos don’t do it justice — this is one HUGE building. Its neighborhood, still too “blessed” with monumental open spaces, will gain from the infill it provides. And its future uses promise to be neither royal nor palatial. The private funding of part of the project seems distinctly un-European and very American. I’d love to do something on Potsdam’s schloss, Lucien. Thanks for the tip! And yes, feel free to send updates. I can send you the book of the 1996 Prince of Wales Urban Design Task Force in Potsdam? Would love to see it. Will send it back when done. I’ve done more than one piece on Dresden’s rebuilt architecture but not Potsdam. Someday I’d like to learn more also about central Warsaw, which I gather was rebuilt by the commies – or at least by the Poles in spite of communist rule – after WWII. can you send your address?